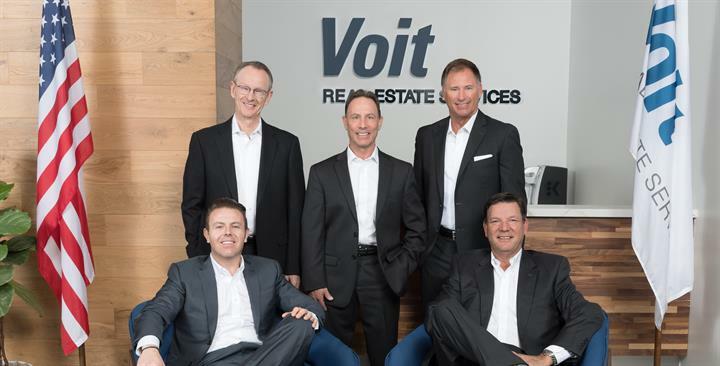 CONGRATULATIONS TO VOIT’S 2018 TOP FIVE SAN DIEGO PRODUCERS! Kipp Gstettenbauer # 1 ( # 7 company-wide) . Randy LaChance # 2 ( # 9 company-wide) Tracy Clark #3 ( # 10 company-wide) . Jeffrey Chasan # 4 ( # 12 company-wide) . Mark Caston # 5 ( # 15 company-wide). At Voit, we believe our people are our greatest asset. Our brokers represent the best in the industry and deliver exceptional value and dedicated service to our clients. We would like to congratulate these five gentlemen who represent the best of the best. We thank you for your dedication to excellence and for your commitment to maintaining the core values and culture that are at the heart of who we are at Voit Real Estate Services.